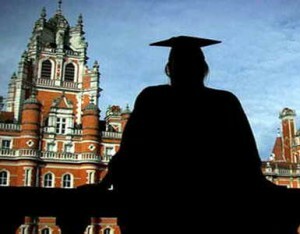 Modern universities operate in challenging conditions of competition. University administration has to decide in accordance with the changes occurring in the environment. Using the strategic management allow to leadership of the university to transfer it to another qualitative state. There are many different frameworks and methodologies of strategic planning for successful university’s development. Many frameworks cycle through some variation on some very basic phases: 1) analysis or assessment, where an understanding of the current internal and external environments is developed, 2) strategy formulation, where high level strategy is developed and a basic organization level strategic plan is documented 3) strategy execution, where the high level plan is translated into more operational planning and action items, and 4) evaluation or sustainment / management phase, where ongoing refinement and evaluation of performance, culture, communications, data reporting, and other strategic management issues occurs . The issue of strategic management in education institutions has been considered in the works of P. Dudko, G. Dmytrenko, M. Klimenyuk, I. Kocharian, О. Marmaza, S. Hatroshvili, L. Pshenychna, S. Reznik, S. Salyga, T. Sorochan, A. Yaryshko. The problem of the strategic analysis of universities is addressed in publications of researchers from different countries around the world. Strategic analysis is the most important tool of the strategic management and the technology of strategic analysis allows improving university’s strategy development. Details of the results of strategic analysis form the basis of strategic information of the university. Strategic analysis of the university is required to identify the starting point for further modeling university’s strategic development. The results of the strategic analysis give information about the university “today”. Functions of the strategic analysis are a descriptive; illuminative; expected.  examine various driving forces behind the education system and external conditions (the environment of which education is a part), e.g. macro-economic and socio-demographic situations and developments . A strategic analysis is one of the most basic and useful tool of strategic planning. The technology of the strategic analysis of a university consists of some procedures and operation helping to describe all details of university’s activity “yesterday” and “today”. – the identifying the positive and negative experiences in the past. Overall picture of the university’s activities is described the map “of the past”, which is detailed analysis of past strategies and correlate it with information about university’s ranking, its competitive position on the educational market. The following procedure of the university’s strategic analysis is an analysis of the internal and external environment of the university. As we know today universities are open systems, which are influenced by the environment. At this stage, the administration of universities should take into account the strength of environmental effects. The typical characteristics of all elements of the environment are: the interconnectedness of environmental factors; complexity; flexibility and mobility of the environment; inability to complete all the determining factors of the environment.  environment near (direct action) and remote (indirect effects) impact on the university. The complexity of the university’s environment refers as a number of factors, which administration of the university must respond in the process of strategic analysis and level of variability of each factor. Mobility environment – is the speed at which changes occur in the environment of the organization. Exterior changes are of two types: continuous and discontinuous. Continuous changes in the environment occur slowly enough and provided demographic changes, whereas discontinuous changes occur suddenly and are accompanied by unintended effects . Thus, to determine the degree of complexity of the environment and the type of environment in which the university operates is an important part in the process of the strategic analysis. For the purpose of understanding the flaws and benefits of university managers use PEST analysis and SWOT-analysis of the university. SNW-analysis give information of the internal environment of the university. The results of the SNW-analysis form a cumulative assessment of the university. SNW-analysis reveals the strongest side of the university and improving it in the future. SNW-approach – a more sophisticated analysis of the strengths and weaknesses of the organization. Experts determine weakness (strengths), opportunities (threats) of the university and classify it according to different parameters at the joint meeting by the discussing. As a result experts develop ranked list, which will be detailed and systematized. Thus, assessment of internal environment provides an opportunity to identify the main “trump card” of the university in the educational market. Analysis of the external environment and internal of the university forms the basis for identifying the main issues of the institution. PEST-, SWOT-, SNW- analyses give the key information for strategic designs of the university’s development. Problem analysis can help in this analytical work of situation analysis by identifying what the problems are and establishing the cause and effect relationships between these problems. The key purpose of this analysis is to identify the “root causes” and, not just the effects and symptoms of the problem(s) . University’s administration uses different approaches in strategic management for ranking problems, such as an inventory of the problems in order of its importance, the study of expert opinions, processing results by rank correlation, dispersion analysis, and etc. For solving strategic problem of the university it is necessary to implement a detailed description of the problems, as the following description will enable to correctly identify the task in strategic planning. The analysis of the competitive environment of the university is required to determine the rate of growth of different universities (universities-competitors); detecting the intensity of competition between higher education institutions; detection appearance of new competitors; determining the degree of influence of consumers of educational services; identify driving forces; study features the competitive position of the main universities-competitors; analysis of strategies of universities-competitors; identify key success factors ensuring competitiveness university; determine the prospects and the overall attractiveness of the university. The next procedure of the technology of the strategic analysis of a university is to analyze the competitive advantages of the university. This step is comparing the strengths and opportunities of the university with strengths and opportunities of other universities for identifying competitive advantages. This operation allows for a protocol of competitive advantages of the university. Using Gap-analysis allow for more complete information about the university. The implementation of GAP-analysis allows identify strategic gaps in accordance key success factors for the university to real conditions. Gap analysis identifies gaps between the optimized allocation and integration of the inputs (resources), and the current allocation-level . Typically, this analysis used in strategic management for the adjusting strategic objectives. Strategic gaps are found in activities of all universities, they arise in the case of the creating unsuccessful strategies, speed changes in the external environment, and etc. The emergence of strategic gaps in the long-time perspective affect to the creating of the university’s strategy development.  formation of strategic information. Conclusion. The technology of the strategic analysis of a university allows improve the modeling of university’s strategy development. Strategic analysis of the university occupies the important place in the university management. The technology consists of procedures and operations of different types of analysis forming strategy information of the university. The implementation of the technology of the strategic analysis of a university allows timely reveal discrepancies of the university and environment and avoid crisis in the functioning of the university. 2. Gap analysis [Electronic resource] – Access mode: (https://en.wikipedia.org/wiki/Gap_analysis). 4. The Basics of Strategic Planning, Strategic Management and Strategy [Electronic resource] – Access mode: http://www.balancedscorecard.org/BSC-Basics/Strategic-Planning-Basics. This entry was posted in Social and tagged strategy, technology, university on 21/03/2018 by Mary.